To study Machine Learning, Python is the first choice. After 4 days' learning the basic rules about Python, I go to the next step: Machine Learning. Firstly, I installed Python(x,y) On my Windows 8.1 .The speed of Theano is so slow that i can't tolerate, So I decide to run it on my GPU. But there is a question: CUDA's version must be suit with the Python's version, which means i should install 32-bit CUDA on my 64-Bit Windows for the Python in Python(x,y) is 32-bit. I can't tolerate at all! Well, you know, 32-bit driver in 64-bit system will cause some unknown problem and at the same time, the machine won't run at it's full speed.What's more, if I want to use CUDA in Windows, Microsoft VS Suit must be installed which is very huge and will make my computer mass. I HATE IT!! I tried to replace the Python in Python(x,y), but failed. So, I turned into Ubuntu. Firstly, Install Ubuntu using wubi mode. After installing, reboot. But * DO NOT GO INTO UBUNTU DIRECTLY *! Stay at the GRUB . Press E to edit the boot option. Find ro rootflags=sync, change it into rw rootflags=sync ( ro=>rw ), press F10 to continue booting. Find the 150th line, change ro to rw , save the file. You can use the system's additional-driver in system configuration -&amp;gt; software and updates -&amp;gt; additional drivers to install NVIDIA driver. You can also use $sudo apt install nvidia-331 to install it. To test if it's correctly installed, use $dkms status. If you see the response like nvidia-331, 331.38, 3.13.0-24-generic, x86_64: installed, congratulations. Actually, your installation is finished. 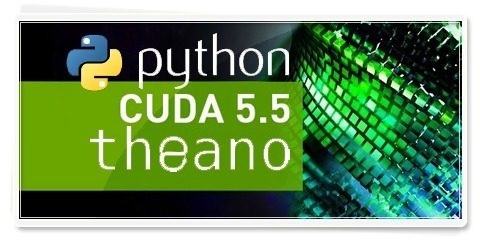 To test, you can import theano;theano.test() in Python. If you see something like Using gpu device 0: GeForce GT 630M, Congratulations! PS: Let's have a bacon with the Dell's FUN !